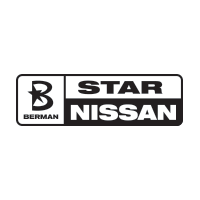 For the over 30 years, Berman Star Nissan has understood the car-buying process revolves around exceptional customer service. With this in mind, we are constantly working to ensure you are taken care of in every way imaginable. That’s what it means to be “Backed By Berman”! Unlike other dealers, such as Martin Nissan, we want your vehicle to be perfect for you, so we offer our 30-Day Perfect Car Promise on every New and Pre-Owned vehicle to ensure that you purchase with confidence. If you’re unhappy with your vehicle for any reason, just bring it back within 30 days and we’ll give you the original purchase price as a trade-in value on any vehicle at Star Nissan. No matter what, we’ll find the right car for you. With our Berman Perfect Price, you won’t have to waste time at Martin Nissan or any other dealership. At Star Nissan we will save you time and provide the best customer experience by taking the hassle and stress out of time-consuming price negotiations by using sophisticated software that researches identical vehicles in your area and trusted third-party sources like Kelley Blue Book to reach the perfect price before you even visit our showroom! Those aren’t the only reasons to that Star Nissan is better option than Martin Nissan. Our excellent reputation is backed by trusted websites like Google, Facebook, Edmunds, Yelp, Cars.com, and DealerRater put us a step above the competition. With over 30 years of award-winning customer service, which includes a team that speaks Russian, Polish, Spanish, Hindi, Urdu, and Korean, Star Nissan is the best choice to make sure you’re completely satisfied from the moment you walk through our doors. Unlike our competitors, your excellent service experience doesn’t stop when you purchase your vehicle. Our Service Center is not only staffed with factory-certified technicians waiting to serve your vehicle, but is also fully equipped for Express Service, to get you back in your vehicle and on the road quickly and conveniently & all of our customers receive car washes as a courtesy. We’ll clean your vehicle while you wait! We deliver with extended hours, fully equipped waiting rooms, an abundance of loaner cars and sophisticated service equipment. In short, we’re here for you! Our conveniently located dealership is right off of N. Harlem Ave. on I-90 and W. Touhy. Ave on I-94. To learn more about our dealership contact us online or give us a call at 847-563-4748 . When you’re ready, stop by our Chicagoland dealership to meet our team and take a test drive!